Friday 31 August – Monday 3 September, a fully guided, fun, whisky tour with ticket for a very local event – Distilled Whisky Festival in Elgin. Visit Glenfiddich, Macallan, Dalwhinnie, Strathisla and Edradour Distilleries. 3 nights hotel accommodation starting and finishing in Glasgow, from only £659pp sharing. Single supplements apply. Friday 31 August Arrive into Glasgow and check in to the 4 star Carlton George Hotel in the city centre and enjoy the day. All our museums are free. Our suggestion is THE POT STILL, a great whisky pub! In your room you have complimentary drinks in your fridge and also gin, vodka and whisky. You have access to the upstairs lounge in the hotel – complimentary tea, coffee, soft drinks and snacks are served throughout the day on an unlimited basis. Alcoholic beverages are also available from 5pm – 10.45pm. These include wine, beer and various spirits. This evening join Liz and Paul for a complimentary whisky tasting. 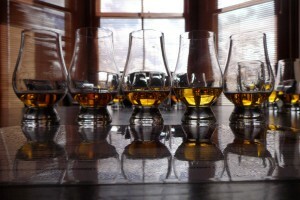 At 730pm – 9pm we have a private room off the lounge where a whisky expert from a local distillery will host this event. This is for our guests only – 9 of us including Liz and Paul. We will be upstairs from 7pm setting up so please come and say hello. Saturday 1 September. After a sumptious Scottish breakfast we head north to Edradour for a tour and taste at this very scenic distillery. There’s also a bar so you can sample a £100 to £4 whiskies, choice is yours. Edradour Distillery doubles in size this year and we know the owner very well. Time for lunch in the local pub then check in to The Royal Hotel, Elgin. 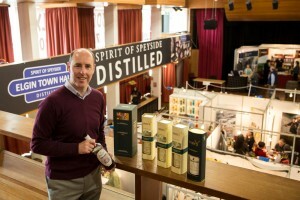 Your ticket for Distilled Whisky Festival for the 6-10pm session, five minutes walk from the hotel. 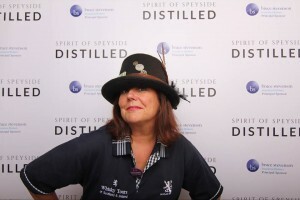 This is the third Distilled Whisky Festival, it’s friendly, fun, local, great drams, what more can we say, join us – FAB! Overnight Elgin. 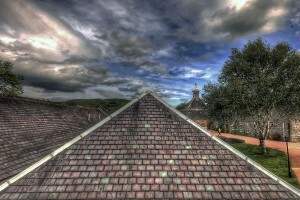 Sunday 2 September After breakfast before we visit the very pretty Strathisla Distillery, the home of Chivas Regal. Then over to Glenfiddich Distillery where we have booked a table for lunch (not included) and shop (no tour). There’s a great bar with the Grant drams to enjoy – Balvenie, Glenfiddich, Kininvie, Tullamore, Grant’s blends and Hendricks gin, to name a few! This afternoon we have arranged a private whisky tour for our guests only (12) to visit The Macallan Distillery, opened June 2018. A surprise last whisky tasting on the beach before your final night in Elgin. A table has been booked for 7.30pm this evening at The Drouthy Cobbler, Elgin. Overnight Elgin. Monday 3rd September After breakfast we take you back to Glasgow, stopping at Dalwhinnie Distillery for those wishing to purchase extra drams. There’s various options to sample Diageo drams with chocolates. Time for lunch in a local pub in the Victorian town of Pitlochry, then on to Glasgow city centre and/or Glasgow Airport where your tour ends. Of course there’ll be drams on board -silly question!! We can easily add more nights to this tour (before/after) please ask us for details.